Come and try out our new digital Audio Solution Guide. Scenarios from various fields of application are available to show you our solutions and guide you through a selected product range of professional PA technology - ideally suited for your successful project! 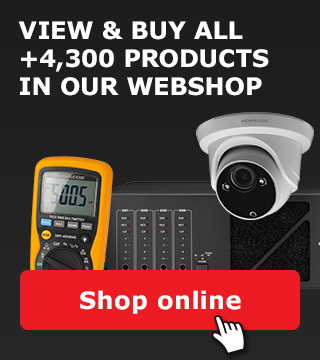 If you are an installer or a specialist wholesaler, you will benefit from our complete range of products for professional security technology and PA technology. If required, MONACOR INTERNATIONAL can also provide advisory support. 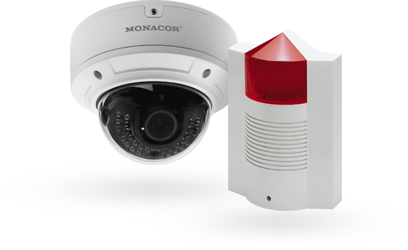 MONACOR: our brand for providing quality, a high level of safety and reliable images and sound. The wall-speaker WALL-05DT from MONACOR is a compact active speaker with integrated Dante™ module and a high-performance DSP which can be controlled via the installed software 'DSP-Control'. MONACOR-DT – shaping up for the future! It becomes more and more important to secure and protect private and commercial properties. For this purpose, MONACOR offers everything you require. With the product range of professional PA technology from MONACOR, you are able to provide each customer with the perfect solution. 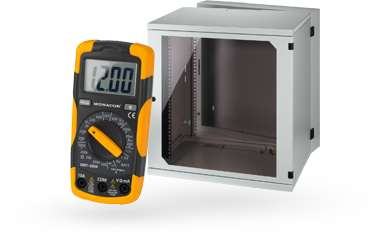 Well thought-out projects down to the last detail: MONACOR offers every component required for installations in order to ensure a perfect operation.